Here are my latest hot tips for finding your audience—because first the readers have to find you. On Goodreads, you must first have a member account before creating an Author Profile and claiming your books. 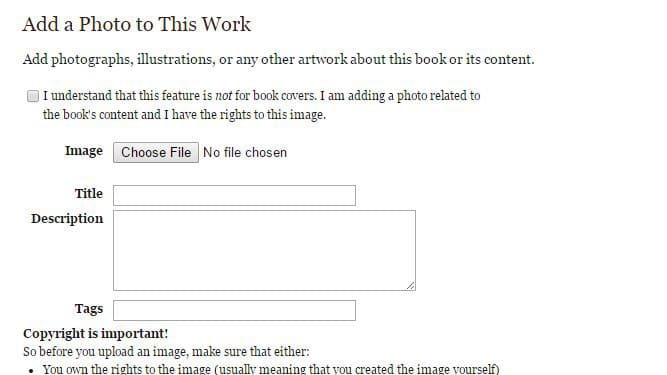 Once you have done that, you can find “Edit My Author Profile” from the My Account link under your picture in the top right corner of your screen. 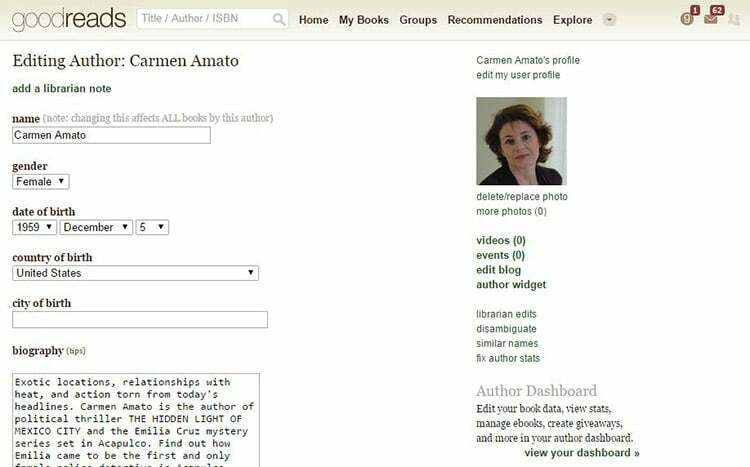 Once your author profile looks right, follow the link on the right to your Author Dashboard. 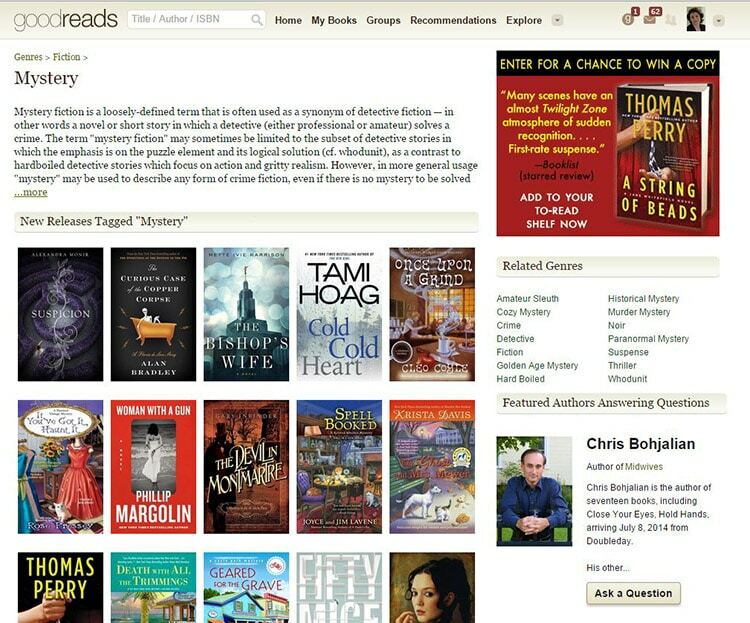 The Author Dashboard is the key to the professional author presence on Goodreads. Make sure to take advantage of every option, because the more you have on offer, the more likely it is that a reader will find you. Goodreads has a set of pre-made questions for you to answer, plus you can salt this easy “interview” with your own question or two. It’s a way for you to talk about your writing style, next projects, and inspiration. You can also prime readers by personalizing the message they see when invited to ask a question. Goodreads always has a page of Featured Authors who answer questions, and making it onto that page can really boost your visibility. Every author can upload 2 ebooks. 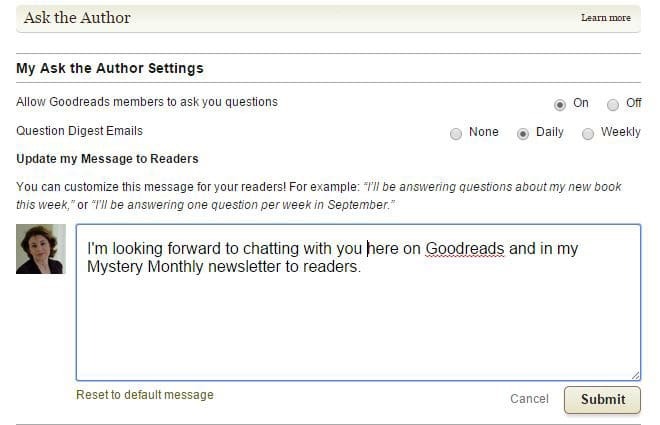 If your books are published and listed on Goodreads, then Goodreads will prompt you to make your ebook a lengthy excerpt. If your book is enrolled in KDP Select, no more than 10% should be uploaded. Ebooks get their own space on the Author Profile that readers see and help polish your author presence. They also are included in a separate page of all ebooks where Goodreads ranks them by number of downloads. Even if your ebooks never rise to the top on the aggregated page, they are a great marketing tool. 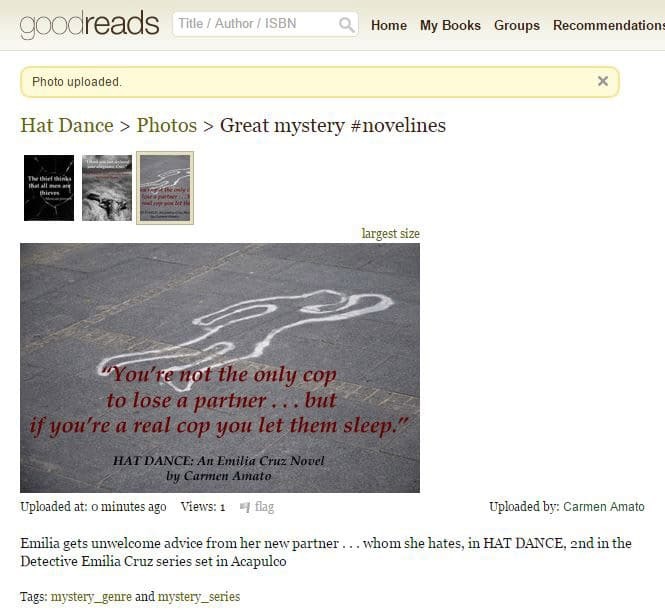 Publish links to your ebooks on all your social media accounts with the hashtag #goodreads. Goodreads gives you two smart places to add images to burnish your author presence: your Author Profile where you can add pictures and videos of yourself doing authorly things like reading, engaging with book clubs, signing copies, raising your glass at a launch party, etc., and the actual book page where you can upload complementary product pictures as long as they aren’t additional book covers. I love this last feature because you can create mini-promos for the books and upload them as images. Be creative with titles and captions. Combine quotes from the books with images that capture the vibe of the story. Once again, after uploading, call attention to the images by publishing the link on social media sites using #goodreads. In addition to political thriller The Hidden Light of Mexico City, Carmen Amato is the author of the Emilia Cruz mystery novels set in Acapulco, including Cliff Diver, Hat Dance, Diablo Nights, and the collection of short stories, Made in Acapulco. Her books all draw on her experiences living in Mexico and Central America. Visit her website at carmenamato.net for a free copy of The Beast, the first Emilia Cruz story. For More Book Marketing Ideas, See Our Free Book Marketing Ideas Page and Subscribe to Our Newsletter. Thank you for giving us this very useful and important learning experience to enhance our presence on Goodreads as authors and readers. I need to follow through on the excerpts and images. Great post. Thank you! I am just getting started on Goodreads. How do you use Goodreads? What advice do you have for getting an Author page noticed? I’m a complete novice, so let me know what you can add to this post from readers+writersjournal (which I reached through Chris the Story Reading Ape, as so often happens! ).